← When Will You Fight? News you can trust. Except when they’re lying. 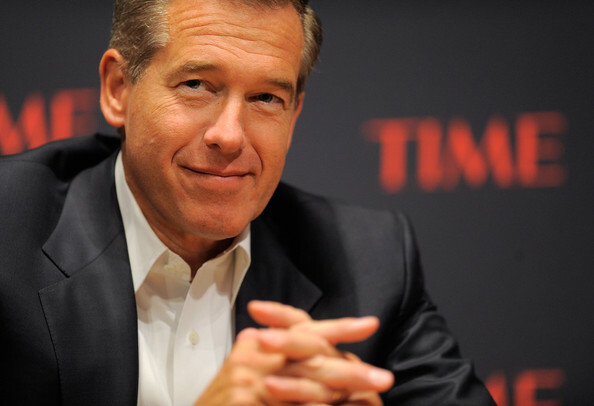 Brian Williams has apologized for making a grievous “mistake” in which he remembered and repeated, over the course of, what, 11 or 12 years, an event that never happened. So, yeah. That never happened. What did happen, you might wonder, for Williams to misremember it so badly? Williams and his camera crew were actually aboard a Chinook in a formation that was about an hour behind the three helicopters [that had previously come] under fire, according to crew member interviews. [William’s] Chinook took no fire and landed later beside the damaged helicopter due to an impending sandstorm from the Iraqi desert, according to Sgt. 1st Class Joseph Miller, who was the flight engineer on the aircraft that carried the journalists. So nothing. The entire story is a product of William’s imagination. Wow, I guess somebody needs to see a neurologist to figure out what’s going on in that brain of his! Or a psychiatrist. Pfft! Let me clear things up for you, Brian. This thing called “lying” caused your mistake. Lying is when you say something you know to be false. You lied to make yourself seem heroic and more important. Also, don’t think you’ve apologized for lying; for an apology to be sincere, there needs to be some sort of indication that the person doing the apologizing recognizes his own wrongdoing on some level. I’m not seeing that here. Read the whole story at Stars and Stripes. Update: Also fabricated? Makes you wonder, doesn’t it.